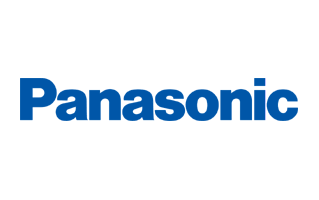 On this page, you will find the Official Panasonic Eluga P41 HD Stock Firmware ROM (Flash File). The Firmware comes in a package and contains Flash Tool, USB Driver, Flash File, How to Flash Manual and IMEI Tool. Step 1: Download and Extract the Panasonic Eluga P41 HD Firmware Package on the Computer. Step 3: Now, Install the provided CDC or VCOM USB Driver on your Computer. Step 4: Once you have successfully installed the Driver, Open SP Flash Tool on the Computer. Step 5: Once the SP Flash Tool is Launched, Connect your Device to the Computer by using the USB Cable. Step 6: Now, Click on the Download or Upgrade Button on the SP Flash Tool to begin the Flashing process. Step 7: Once the flashing is completed, you will see a Green Tick at the End. Step 8: Now, Disconnect your Panasonic Eluga P41 HD Smartphone from the Computer and Restart the Device. [*] SP Flash Tool: You can download the latest version of SP Flash Tool from SP Flash Tool for Windows or SP Flash Tool for Linux page. Caution: We do NOT recommend you to flash the preloader.bin file on Mediatek devices. As it can brick the device, therefore we recommend you to untick the preloader before flashing the stock firmware on your device.